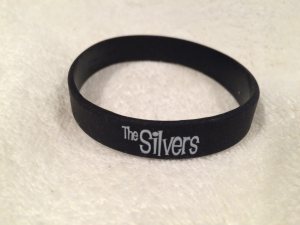 Home › Memorabilia › FREE Christmas Present From The Silvers! Collectible Wrist Bands! FREE Christmas Present From The Silvers! Collectible Wrist Bands! We still have a few left! Be the first kid on your block to have one! We will pay the postage ESPECIALLY IF YOU ARE IN A COUNTRY OTHER THAN THE USA! These just came in the mail yesterday. Pretty cool, huh? There are a limited number of these collectible wrist bands, and you can get yours FREE by e-mailing me your address to Mick at SFResidence.com. We’ll even pay the postage! This offer goes out to the first 20 people who respond as our way of saying thanks for visiting our website!